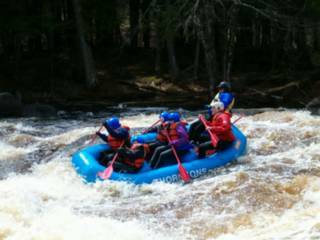 We are a Wisconsin water adventure club for those who enjoy whitewater rafting and the outdoors. Rafting pictures from the 2004 rafting season at Thornton's Whitewater Rafting Resort and Campground's. This Web site is provided as a free service to the paddlesports community. Urban Whitewater Pirates is not responsible for any content on this site. Rafting can be dangerous! Always seek professional training and learn the safety precautions before participating in any kind of paddlesports. Your safety is your responsibility.